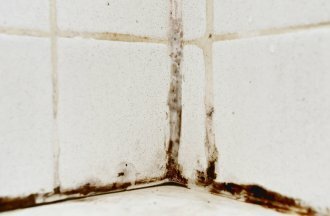 Nobody wants to deal with mold, especially people who suffer from allergies and asthma. That’s because mold can cause asthma flare-ups and full-blown asthma attacks. If you live in Center Moriches or the greater Suffolk County, the proximity to the coast can increase your risk of developing basement mold, which in turn can increase your risk of developing asthma symptoms such as coughing, wheezing, and shortness of breath. Watch this video to learn how basement mold can aggravate your asthma symptoms. If you notice any of the symptoms described in this video, contact a mold remediation company in Center Moriches. Mold removal requires special training and equipment, so leave it in the hands of mold remediation professionals. What Kind of Damage Does Water Cause in a Home? Mold spores are everywhere; they just need the right conditions to grow. Extra moisture in your home following a burst pipe or flash flood can lead to mold and mildew. 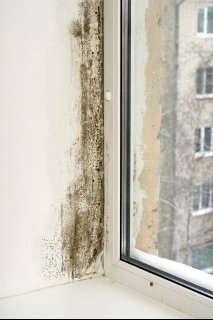 Besides being unsightly and foul smelling, mold also poses a risk to your health and safety. Prolonged exposure to certain types of indoor mold can lead to skin rashes, chronic headaches, respiratory problems, and sometimes much worse. If you identify mold in your home after it’s been flooded, contact a mold remediation expert in your area. Water and moisture can also affect the structural integrity of your home. Waterlogged timber is more prone to rot and cracking than dry, healthy wood. This is problematic if any of load-bearing studs become saturated with moisture, as it increases the likelihood of a collapse. Water damage repairs may include replacing damaged structural timber around your home. The only way to know for sure is to have the water damage assessed by a professional. You also have to worry about losing your belongings to water damage . While some items can get wet without any problem, others may quickly deteriorate if exposed to water for any period of time. The sooner you remove the water from your home and begin to clean up the damage, the better your chances are of saving personal belongings that got wet. Ask your water damage restoration provider for tips on saving specific items that were affected by the flooding. Keeping a basement dry is a challenge for any homeowner, especially here in Suffolk County. Unfortunately, having a wet basement can lead to a number of serious problems, including mold growth and rotting wood. 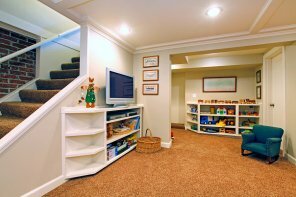 The good news is that a basement waterproofing company in Moriches can protect your basement and help you avoid the cost and headache of dealing with basement flooding. There are numerous signs to look out for that will indicate you need to waterproof your basement. If you smell a musty odor in your basement, notice puddles of standing water on your basement floor, notice curves or bulges in your basement walls, or notice chalky patches or dark spots on the walls and floors, schedule a basement waterproofing consultation today. You may also need to schedule mold remediation if excess moisture has resulted in mold and mildew growth in your basement.